Caught in a Blue Peter moment - Salut! There really was little excuse for taking so long to see The Mousetrap, and equally little reason to suppose that unpaid thespians in Abu Dhabi, performing at a social club built on land donated by the UAE's founding president, Sheikh Zayed, would end up filling my cultural gap. It is hardly as if the long history of Agatha Christie’s whodunit, and the slightly shorter history of me, failed to offer an opportunity sooner. First sprung on the public as a radio play, The Mousetrap made its debut on the London stage 55 years ago. For 23 of those years, I lived in London and for a time nurtured a voracious appetite for all things Christie. I devoured her novels, studied the mysteries of her life and felt honoured to be sent as a young reporter to cover her memorial service in 1976. And when I think of woeful shows I have paid good money to see, it is strange that I should never have got round to attending one of the 23,000 performances of that extraordinary run. But The Mousetrap remained, to me, a closed area. So now that I have rectified the omission, catching the Abu Dhabi Dramatic Society’s presentation of the play at the Club, I must surely be a satisfied man. On the contrary. I feel only relief that the seat cost 50 dirhams (about £7), not extravagant West End prices. This has nothing to do with the quality of the production. Alan Daft, the director, may have been a little, well, daft to suggest in his end-of-run speech that the cast reached standards indistinguishable from those of professionals. But it was a highy commendable effort all the same. From the splendid set to impressive acting, this was a work of which the company, despite a vast range of experience (including, in the case of Graham Clews as Detective Sergeant Trotter, none at all), can be proud. Just over 700 people attended the three performances, a hearty endorsement of the society’s reputation for excellence. The source of my disappointment, however, was beyond its power to remedy. The Mousetrap is not, in truth, a particularly good play. Assuming that the cast stuck closely to the original script, it is a rare damp squib in the sparkling Christie archive. The plot is weak, a few characters are unbelievable and some of the twists and turns lack finesse. Amid the mutual backslapping and banter of the closing night party, I learned one or two things. For instance, Agatha Christie would not have resented my unflattering verdict too strongly since she never placed the play among her finest work. And if the Abu Dhabi society suddenly uprooted to Aberdovey or Derby, I discovered, it could not legally present The Mousetrap at all. As long as the play is running in London, copyright law prevents any impresario, rep company or amateur society putting it on elsewhere in Britain; indeed, there are even restrictions on it being published in book form in the UK. This will doubtless encourage people to flock to St Martin’s Theatre, and the world’s longest running show, for years to come. Each will want to know, and try to guess, Who Did It. I now know, of course. 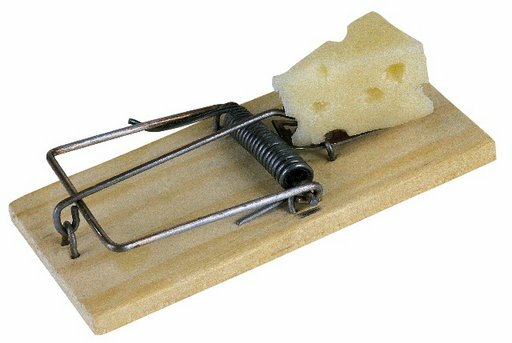 But I feel dutybound to observe a noble Mousetrap tradition, also mentioned by Alan Daft to his Abu Dhabi audience. My lips, accordingly, are sealed.